Desiccator Vacuum All Clear are Provided with a transparent polycarbonate bottom that makes it more robust and provides excellent view of the desiccator. All the other features are same as PP/PC Vacuum desicators. 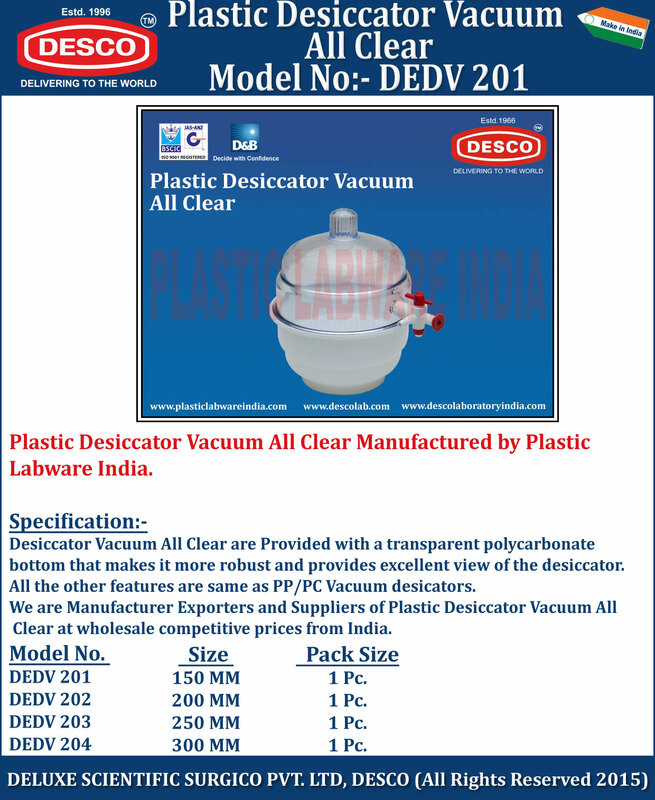 We are Manufacturer Exporters and Suppliers of Plastic Desiccator Vacuum All Clear at wholesale competitive prices from India. DEDV 201 150 MM 1 Pc. DEDV 202 200 MM 1 Pc. DEDV 203 250 MM 1 Pc. DEDV 204 300 MM 1 Pc.